Have you considered Valentines for donors this year? It’s time to show your donors some love! 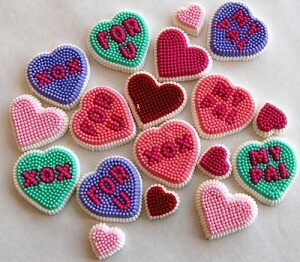 A charming, thoughtful Valentine can express your appreciation to your donors in a delightful way. After all, they are the generous, wonderful people who are making your work possible. Valentines for donors are also terrific tools to help build donor loyalty. 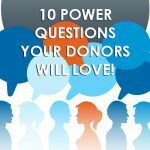 A super easy way to engage with your donors. A thoughtful gesture that can deeply connect donors with your work. A valentine can remind your donors how special YOU think THEY are. How do Valentines for donors play a role in fundraising? But you ARE touching your donors, reminding them of their interest in your cause, letting them know the wonderful impact they are making in the world. And that’s FABULOUS fundraising, if you ask me. A thoughtful Valentine helps encourage that next gift. You may already have sent them a warm personal thank you note right after their gift. You also may have called them on the phone to say thanks. But don’t for a minute think that’s all you should do! #DonorLove is the way to go! Or you can go further, and add some love. Which your donors totally deserve. Treat your donors like the very special friends that they are. Donor gets valentine card from board member with note. Valentine card comes from someone your organization has helped: A kid, a student, a client, etc? Donor gets a video of some of your organization’s work (smiling people, ok?) with a love song in the background. Donor gets a Valentine created and signed by some of the kids (or people) she has helped. Animal charity – maybe a paw print. Arts organization: try a cool art design crafted by an artist. Save the frogs: a cute frog with words coming out of its mouth. This is perfect for arts organizations who may have some singers who’d love to visit donors and sing a jingle, pop song or an aria. What fun! I’m a huge fan of balloons. They are festive, inexpensive and playful. How about getting a delivery van for the day and go around and give all your favorite donors a red or white balloon to thank them. Why not invite your donors to a little get-together- and ask them to wear red! Create a little token that represents your work. Absolutely nothing expensive. You can send emails to ALL your donors with a charming image or photo. OR imbed a video in the email and simply say thanks, you are the best! We can’t forget chocolate! That’s an easy one to deliver along with a #donorlove note. And can you find some local gourmet chocolates to deliver, perhaps? And don’t forget flowers! They are always appropriate and welcome. They don’t have to be extravagant, just thoughtful. Maybe a potted flowering plant? Or even a single rose? BOTTOM LINE: Valentines for Donors! 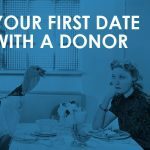 I can’t think of a better way to “romance” your donors with some old-fashioned #donorlove. 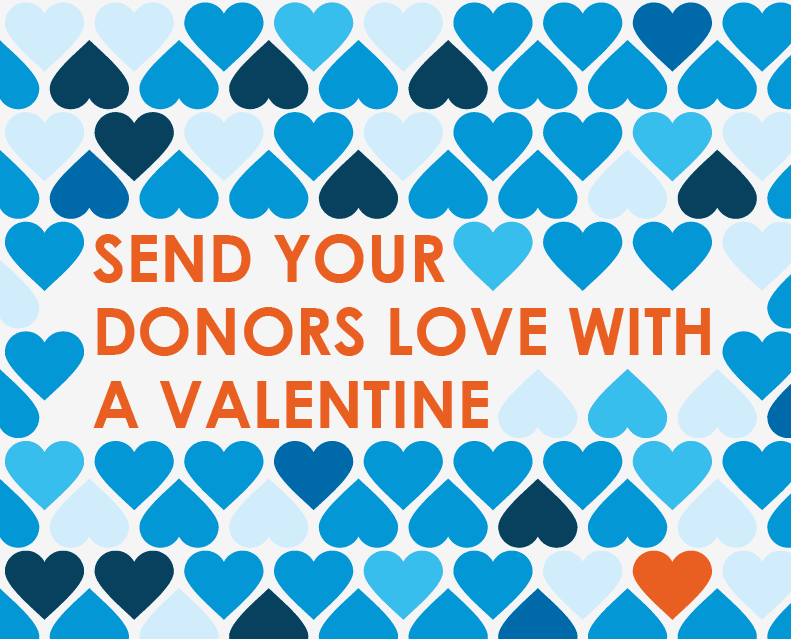 How are YOU using Valentine’s Day to send your donors some love? Share your own ideas with a comment below!